Each state has its own child custody laws. In Miami, Florida, the term "child custody" was actually removed from the Florida legislature in 2008, but it is still used interchangeably with the updated terms. When dealing with child custody cases, the court orders a time-sharing schedule that is in the best interests of the child. In 2008, the Florida legislature made extensive changes to the laws associated with custody. One change was the elimination of the words "custody," "custodial," "non-custodial parent," "primary residence," "primary residential parent" and "visitation." Updated terms include "parental responsibility" and "time-sharing." This changed "custodial parent" to "primary time-sharing parent," to try to remove the idea of going to war over children and to help parents see the situation as sharing their child's time. Parental responsibility is the responsibility of a parent for all decisions regarding a child's health, welfare, education and religion, as well as all decisions involving day-to-day life. Two types of parental responsibility may be awarded by the family court in Miami: sole parental responsibility (one parent makes all the decisions) and shared parental responsibility (parents share duties and make decisions together). The default in Florida is shared parental responsibility, unless the parents are unable to agree on major decisions. In this case, a judge decides. Generally, the court favors shared parental responsibility, unless this poses a danger to the child. Factors considered by the court when determining parental responsibility include the parent's moral fitness, the parent's job security, the emotional bond between the parent and the child and the extent of the parent’s knowledge of the child’s likes, dislikes, schedule, interests, friendships, medical information and school information. Despite the updated terms, the law in Miami, Florida, has not changed in terms of which parent should have majority time-sharing. If parents cannot agree without going to court, they still incur the same child custody battle cost. The welfare of the child is still the court's primary concern, and when making a decision, it takes into account factors such as the stability and mental and physical health of the parent, the parent's ability to take care of the child, which parent is more likely to encourage an ongoing healthy relationship between the child and the other parent, and similar concerns. The court will order a cohesive parenting plan and time-sharing plan. The time-sharing plan must specify the time that each parent spends with a child, including vacations and holidays, and include information regarding where the child sleeps at night. Gillespie, Claire. "Facts on Child Custody in Miami, Florida." 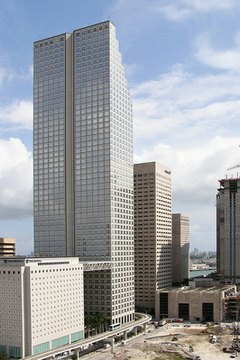 , https://legalbeagle.com/6374257-child-custody-miami-florida.html. 23 July 2018.